Whether you’re brand-new to yoga or just getting back into it, the Sivan Health and Fitness Set just might be what you’re searching for. Most people who buy the set agree that this bundle is a fantastic bargain. For the price, the quality just can’t be beat! This six-piece set comes in a variety of colors. You have your choice of black, blue, teal, purple, green, red, or pink. My personal preference is teal. There’s something totally relaxing about that particular color. But regardless of the color you choose, I think you’ll be pleased with your purchase. If you happen to be a Amazon Prime member, you’ll pay less than $40 for the whole Sivan Health Fitness Yoga Set. 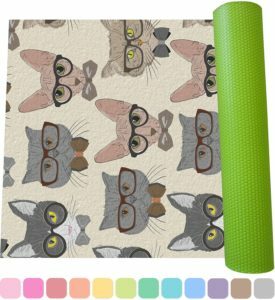 The way I look at it, even if you’re just looking for a new yoga mat, you’re probably going to spend close to the same price anyway. So, by purchasing the set, you’ll actually be ahead of the game. The reviews on this product bundle are pretty stellar. 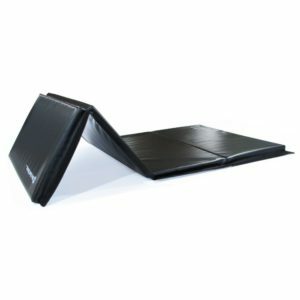 Many buyers claim the mat, which measures 71″ long x 24″ wide, is really comfortable. Who wants to practice yoga poses on an uncomfortable mat, right? Think of your poor knees! 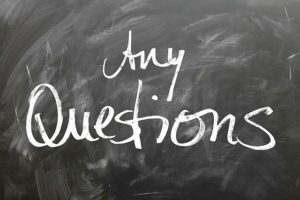 What makes the Sivan mat so comfortable? The material is a special memory foam with the right balance of cushioning and support. The mat is also 1/2″ inches thick, which is thicker than the average yoga mat. Several types of people will benefit from this thickness. Beginners who are not yet comfortable with resting knees and elbows on a hard floor will usually prefer the extra cushion. Likewise, older yoga students and those with a larger body size or weight will also benefit. The yoga mat is double-sided, with a ribbed side to grip the floor and a smooth side to practice on. 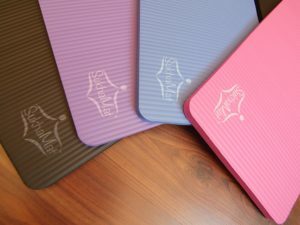 For standard yoga, the yoga mat by itself should perform well. 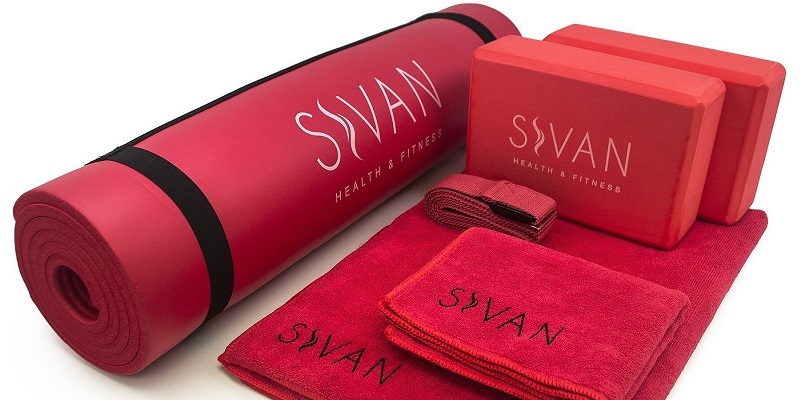 The Sivan Yoga set includes two matching towels.The mat-sized towel almost completely covers the mat. It’s the same width and 2″ shorter in length. The hand sized towel measures 30″ long x 20″ wide. Designed with microfiber technology, they’re both super absorbent and slip-resistant to boot. 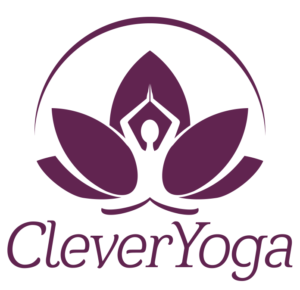 If you are performing hot yoga or sweating profusely, you will want to use the larger towel as an overlay on top of your yoga mat. It performs well for this purpose. You can use the smaller towel to wipe yourself down during the workout. 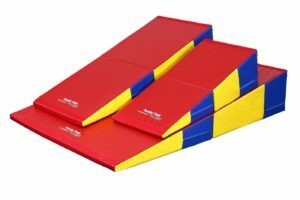 You receive a pair of yoga blocks, which measure approximately 10″ long x 7″ wide x 4″ deep. Unfortunately, some individuals feel yoga blocks are just for beginners. Not true! Lots of seasoned yogis use these blocks to enhance their yoga routines. 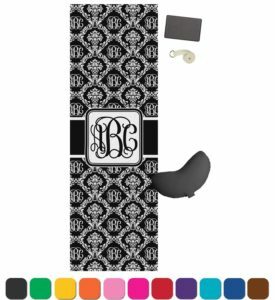 Last but not least is the yoga strap. This handy strap makes it so much easier to transport your mat. If for some reason you don’t want to use it, it’s simple to remove. The Sivan Health and Fitness Yoga Set is a solid complete yoga package. There aren’t too many downsides, perhaps the designs could be more colorful and avoid stamping the company logo so loudly. Really, though, these are minor quibbles. Some people do complain about an odor from the brand new mat. This is totally common and typically nothing to worry about. Simply allow your new Sivan yoga mat to air out for a couple of days and you should be all set. Have you ever purchased a set like the Sivan Health and Fitness Yoga Set ? If so, do you feel like it was worth the money? Feel free to leave feedback below.